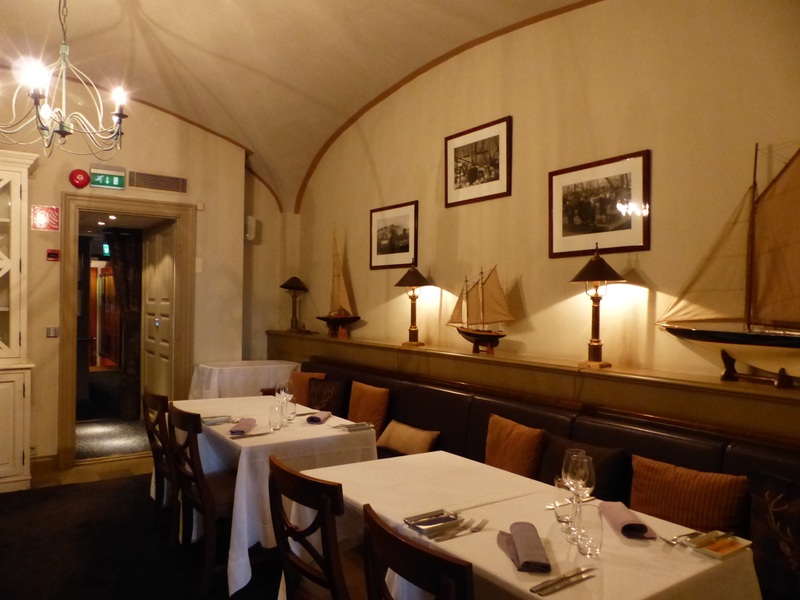 Havis is a pretty nautical style restaurant beside the Helsinki harbour. 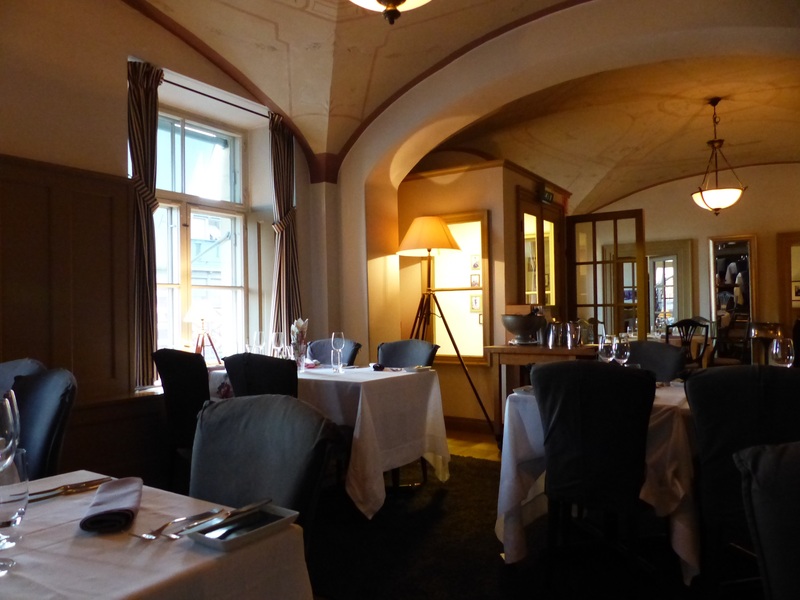 The interior is very elegant. I chose the Havis menu. You can have 3 or 4 courses. I decided on 3, leaving out the cheese course. 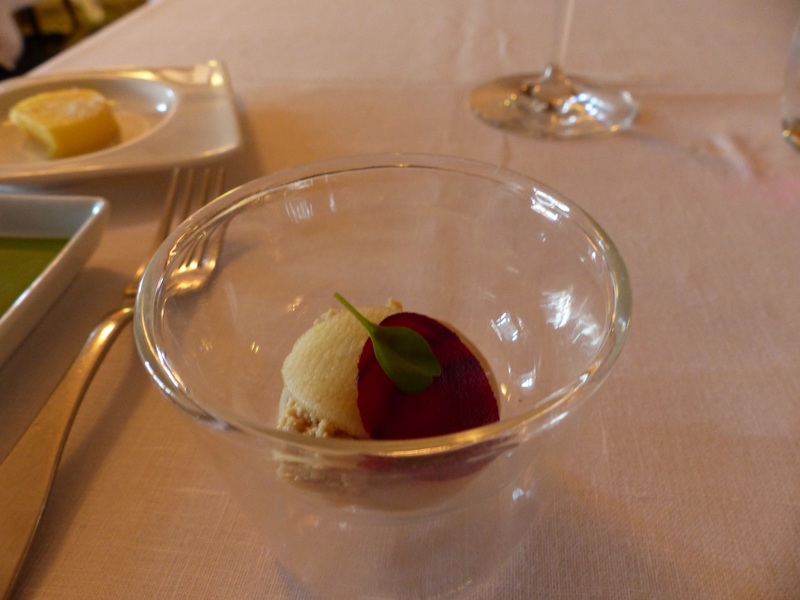 First came an amuse bouche. I can’t really tell what it was, but it was delicious. 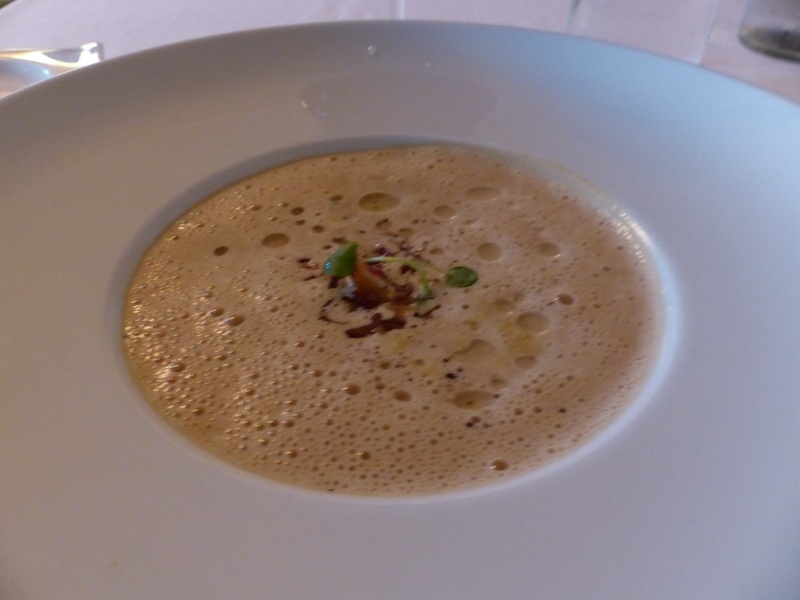 Mushroom soup followed and was also very good. 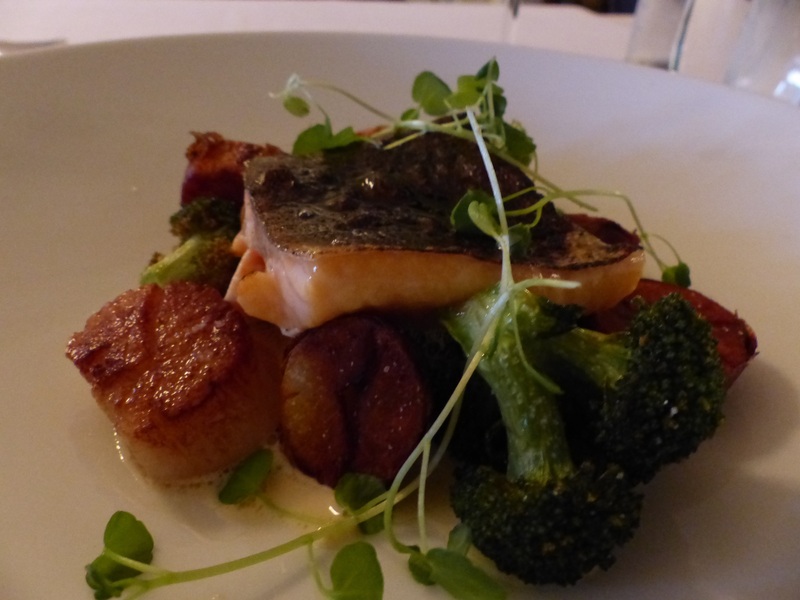 I really like Arctic char, which was the reason I chose the menu. It was served with scallops, potatoes and fennel sauce. 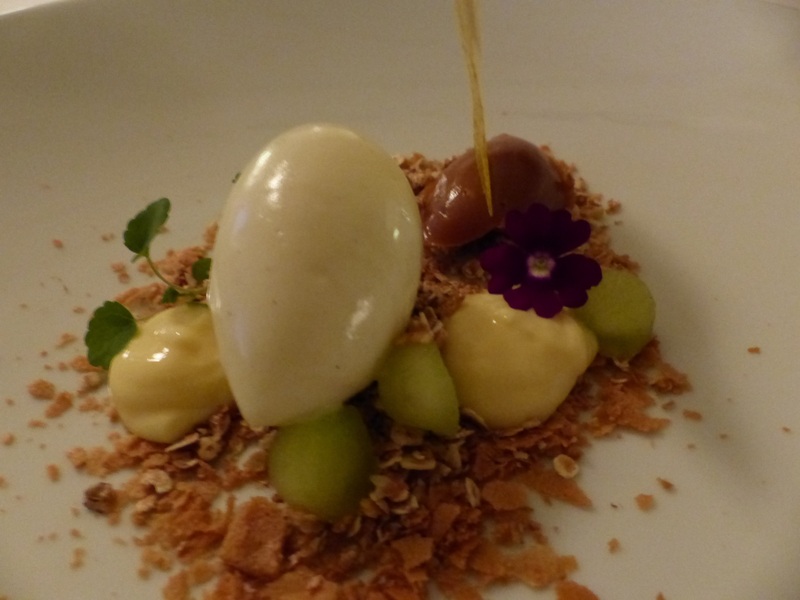 Dessert was sorbet with muesli and white chocolate served 3 ways…yum. 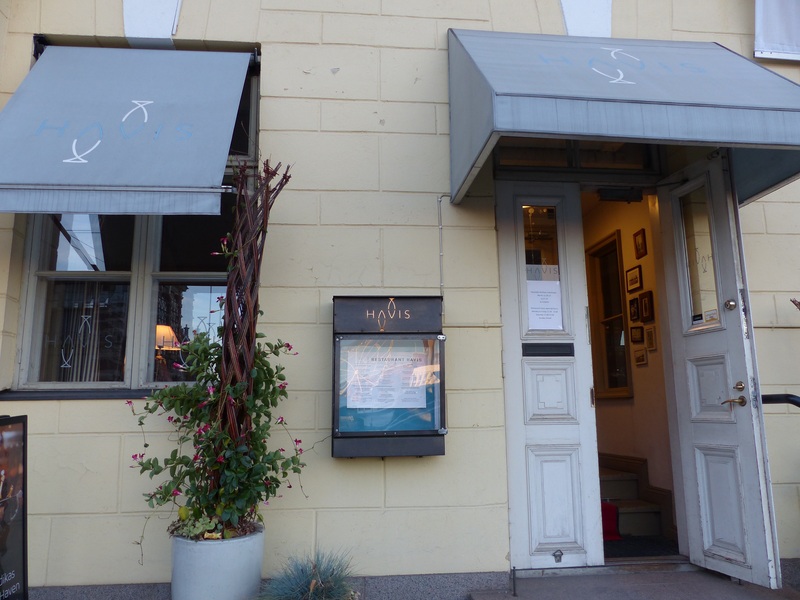 Helsinki has many good restaurants to choose from…I would go back to Havis any day.